Hear ye, hear ye: the 4th Annual Mayor’s Symposium is [nearly] in session. 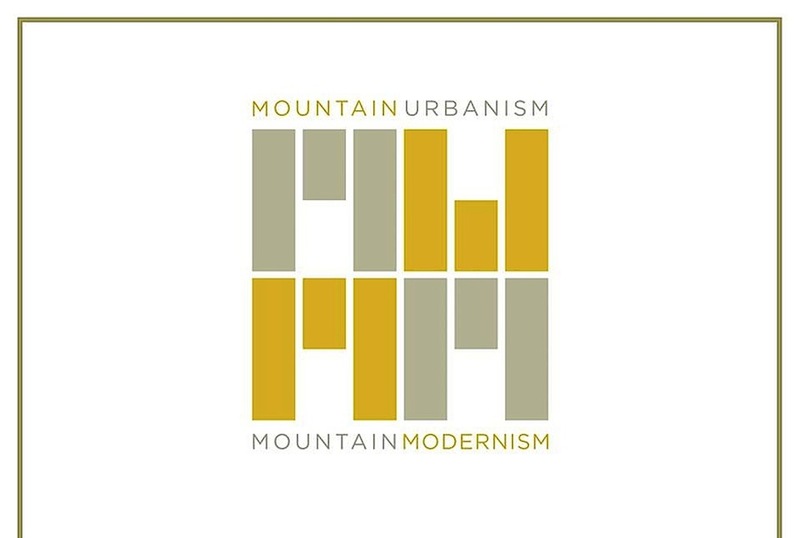 Presented by the SLC Mayor’s Office and the University of Utah College of Architecture + Planning, the theme of this year’s forum is “Mountain Urbanism, Mountain Modernism” and focuses on drawing inspiration for our stellar city's future from our collective natural [and also stellar] surroundings. cityhomeCOLLECTIVE played host to two pre-symposium conversations over the last couple of months in preparation, and we can tell you this -- folks have plenty of good stuff to say, and you ought to do what you can to be a part of the dialogue. 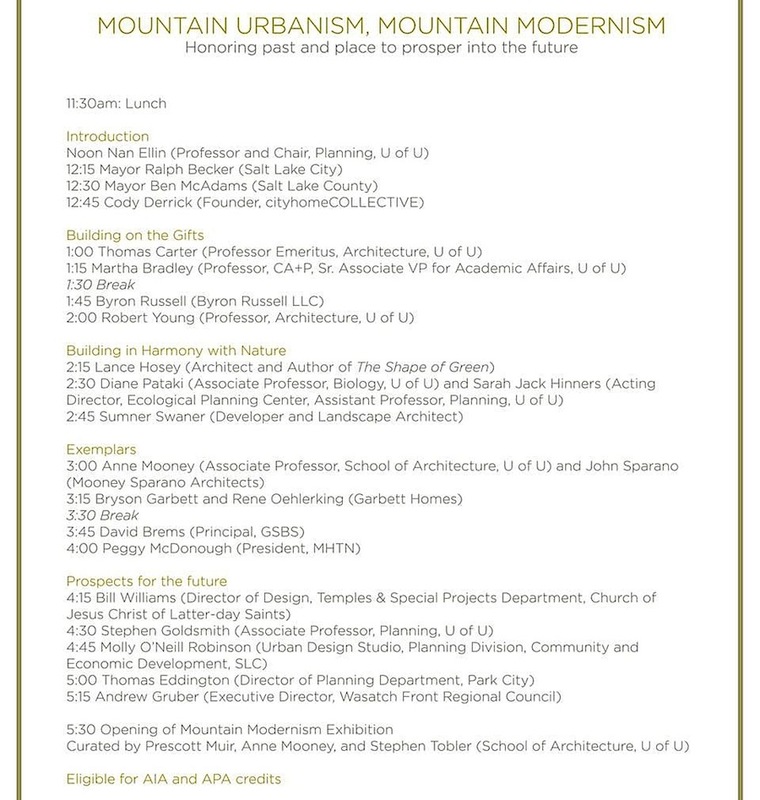 Oh, and this: cityhomeCOLLECTIVE’s very own commander-in-chief, Cody Derrick, will be speaking at the symposium. For those of you who don't know, it takes something along the lines of a truckload of anxiety meds to get this guy behind a microphone, but he's willing to do it in the interests of modernism and urban growth. Bottom line: he could use your friendly faces in the audience so that he and a host of other virtuoso-type locals [see the full list below] can do their part to speak on behalf of Salt Lake’s rapidly growing urban culture. Join the conversation on “honoring past and place to prosper into the future” on Thursday, February 13th at The Leonardo. Check out the flyer below or click on the link for additional information.